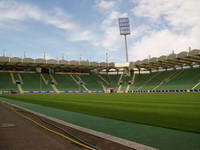 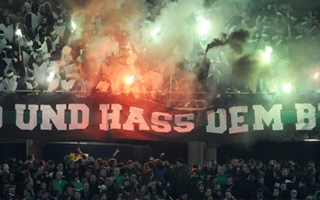 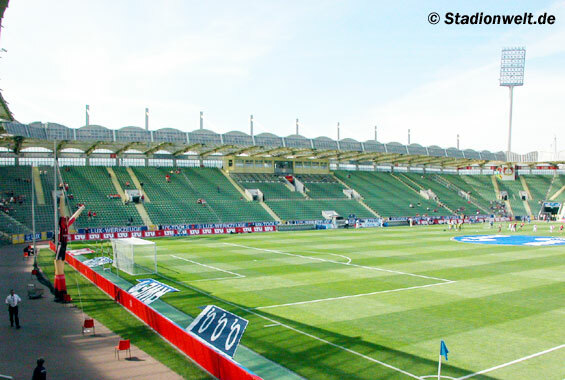 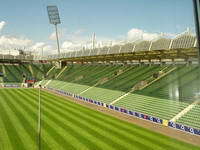 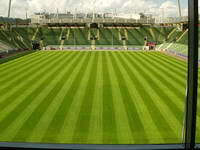 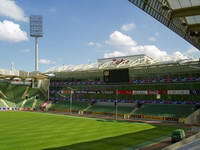 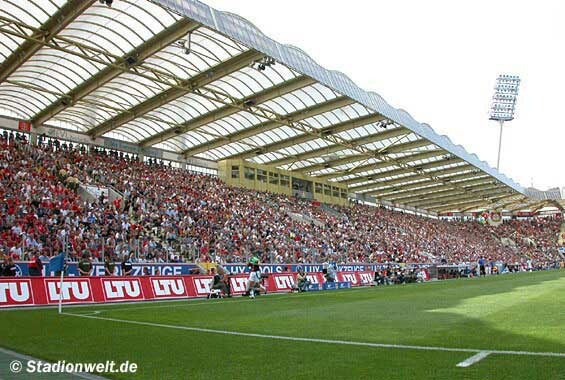 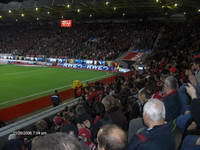 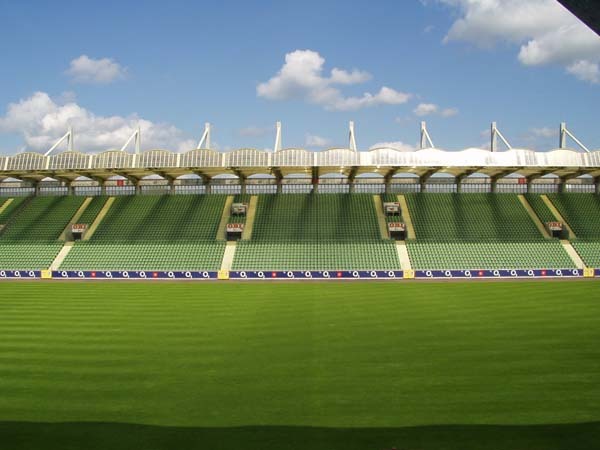 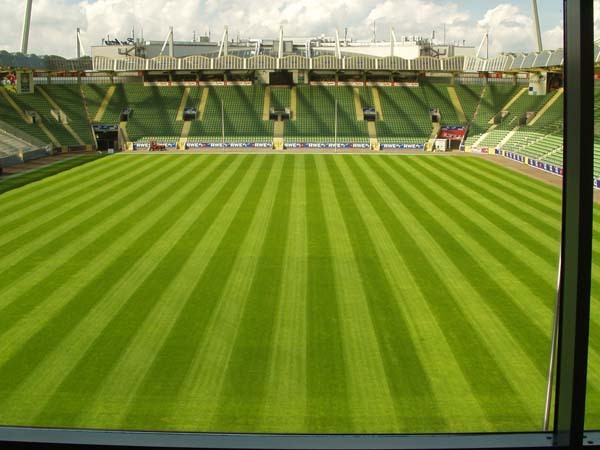 Initially built in 1956, the ground has been called Ulrich-Haberland-Stadion for the first 30 years of existence. 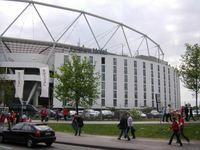 Its fame began in the 1990’s however, when a huge revamp took place, resulting in the stadium being ‘supermodern’ by those days’ standard. 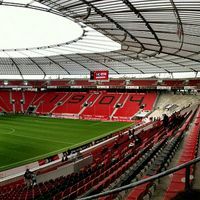 Ironically, its shape was not all intended that way and is a result of several changes into the design during implementation. The redevelopment which was to result in a whole new ground began back in 1986 and lasted for over a decade. 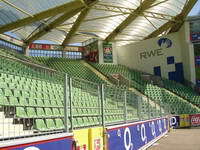 The outcome was to resemble Ruhrstadion in Bochum. 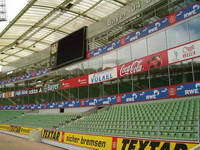 That means single-tiered stands close to the pitch with simple roof. 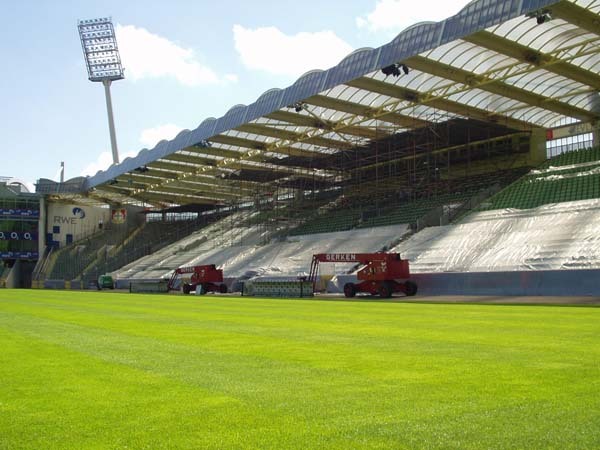 However, as the works went on, demand changed and designers had to incorporate both infrastructure for families and more importantly for corporate clients. 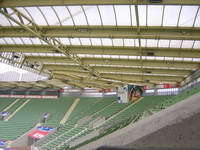 As there was pace behind a goal, the business section was built in an unusual setting, in a place usually occupied by fanatics, far from having the best view. Changes also reduced capacity from planned 35,000 to some 22,500. 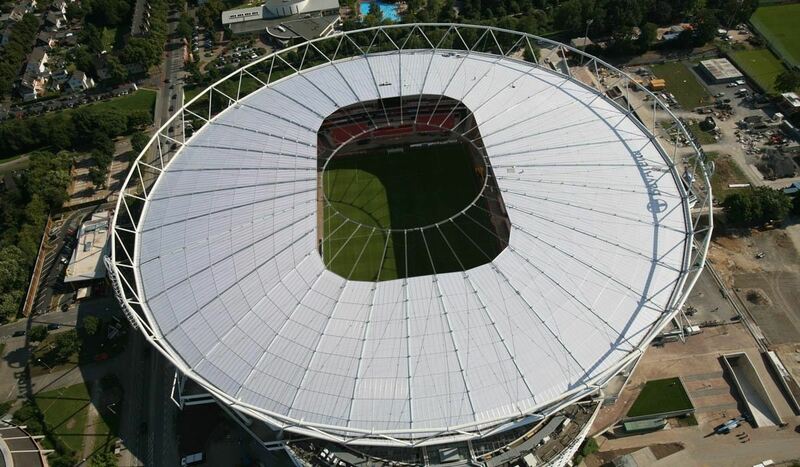 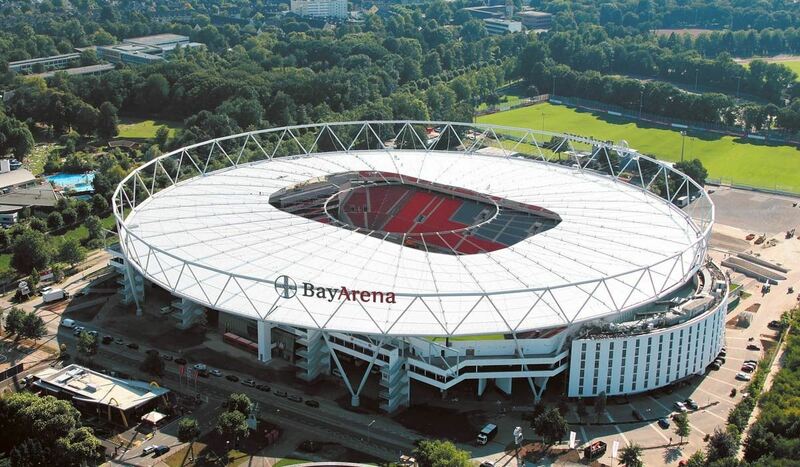 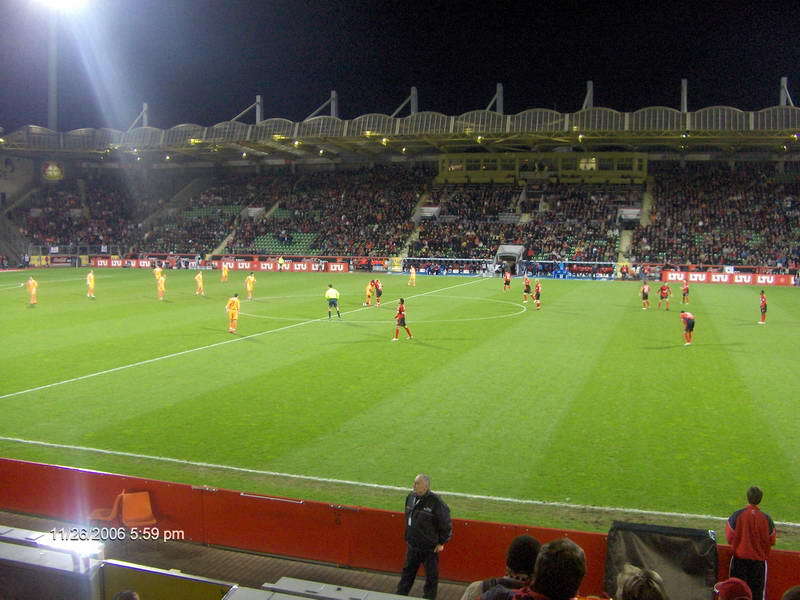 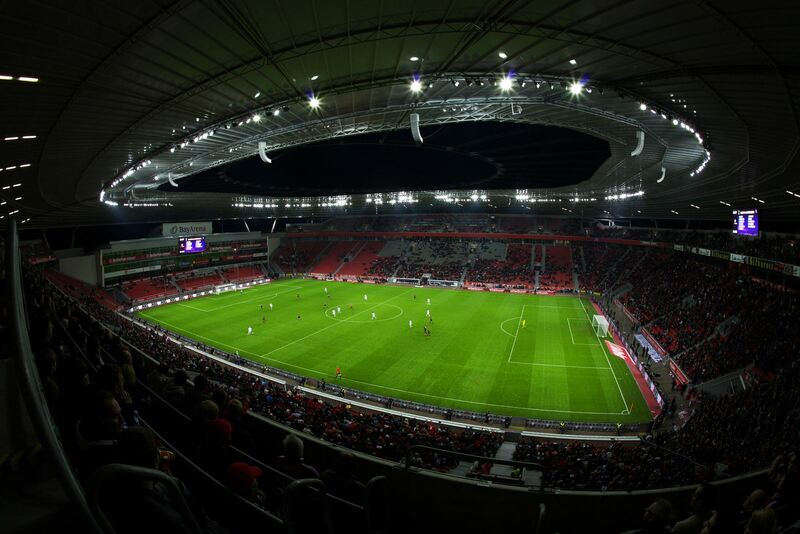 Since 1998, first year in operation as a new venue, it’s been called BayArena. 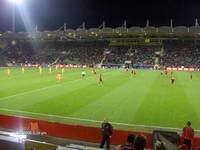 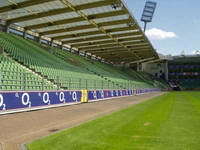 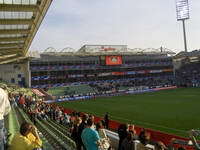 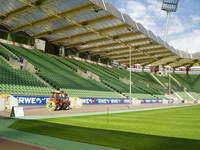 Due to high demand for tickets and also increasing possibilities in generating extra profits from non-sporting use, the ground has been further revamped in 2008-09. 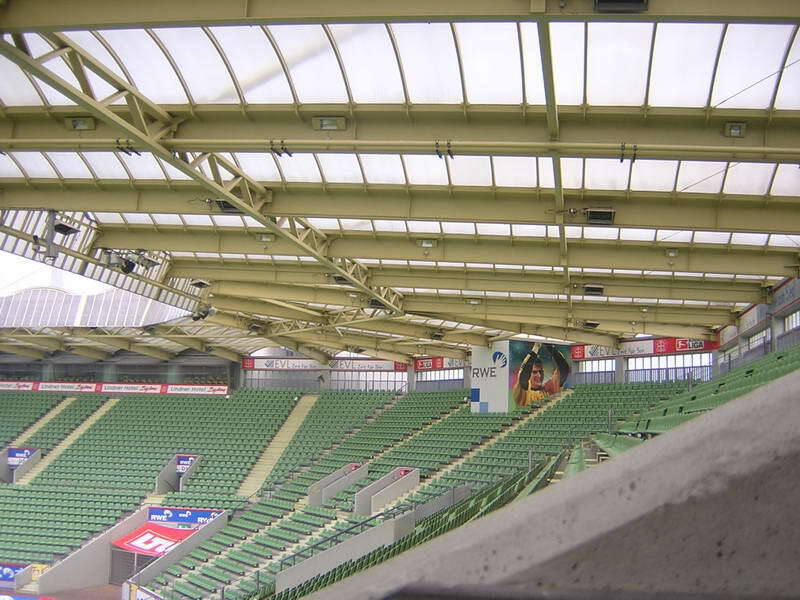 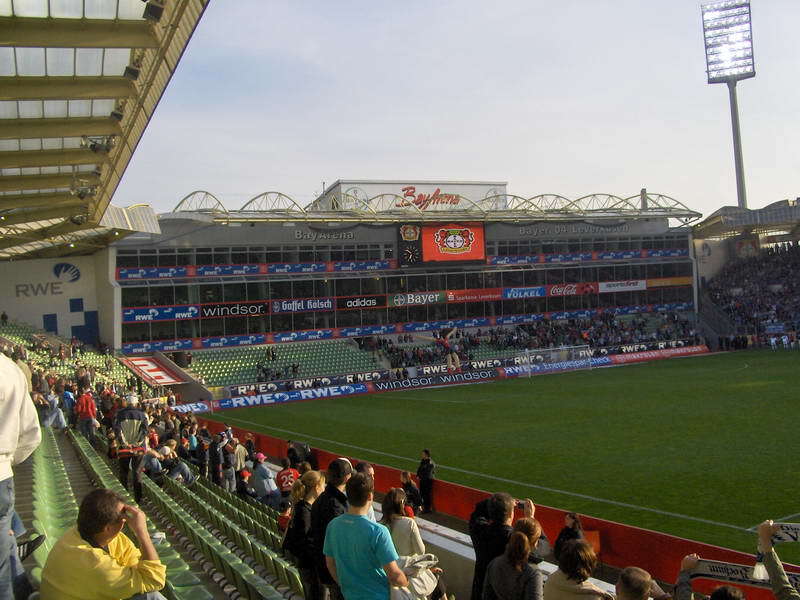 This time a small second tier was built above existing stands, extra infrastructure constructed around the stands and a huge, impressive roof above the whole structure. 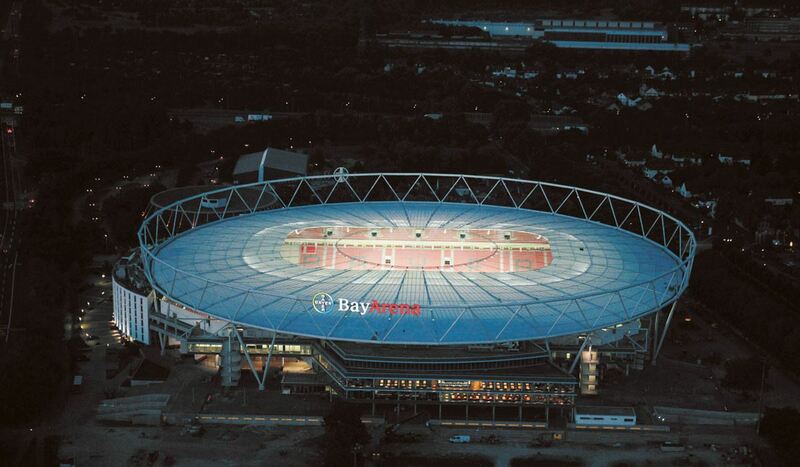 It was even planned to look like a huge aspirin pill from above, but the idea to put a huge neon with Bayer’s name was dropped. 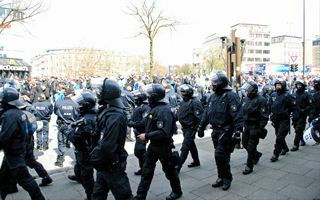 26.09.2014 Germany: “Zero provocation instead of zero tolerance” - it works! From August the most football-mad region worldwide was undergoing a serious test: how will safety change with less police force deployed? 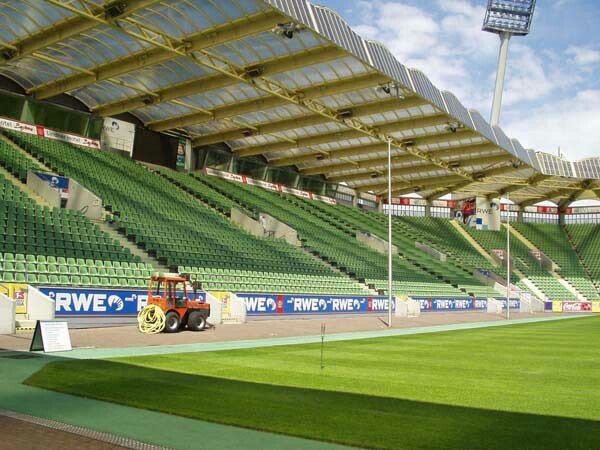 Just as many experts predicted, it improved. 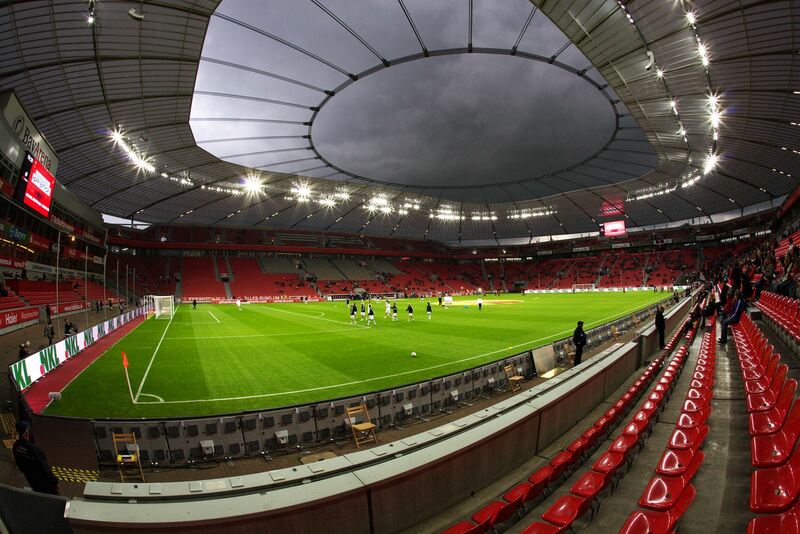 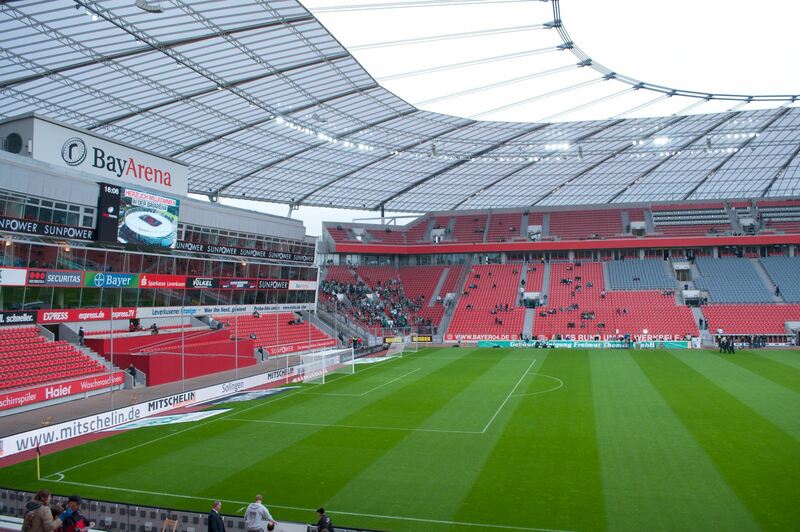 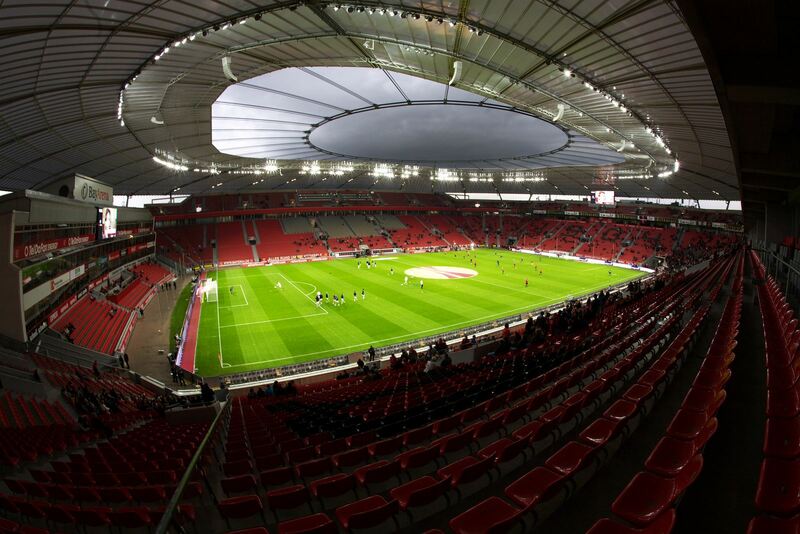 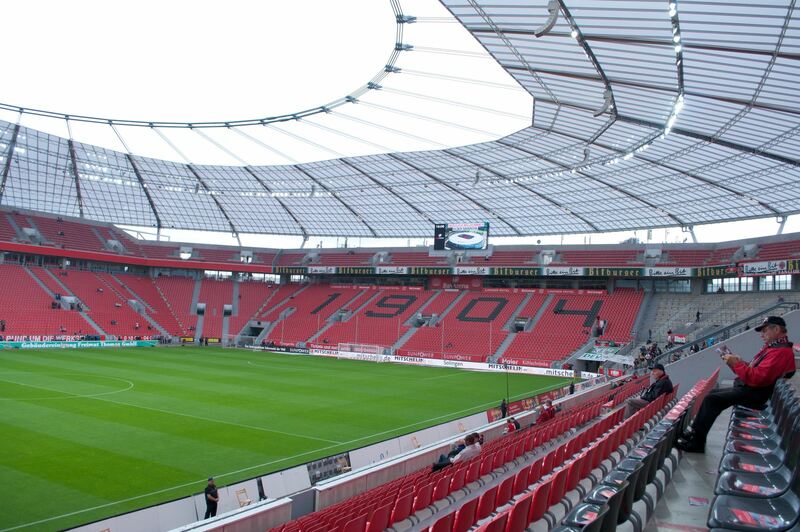 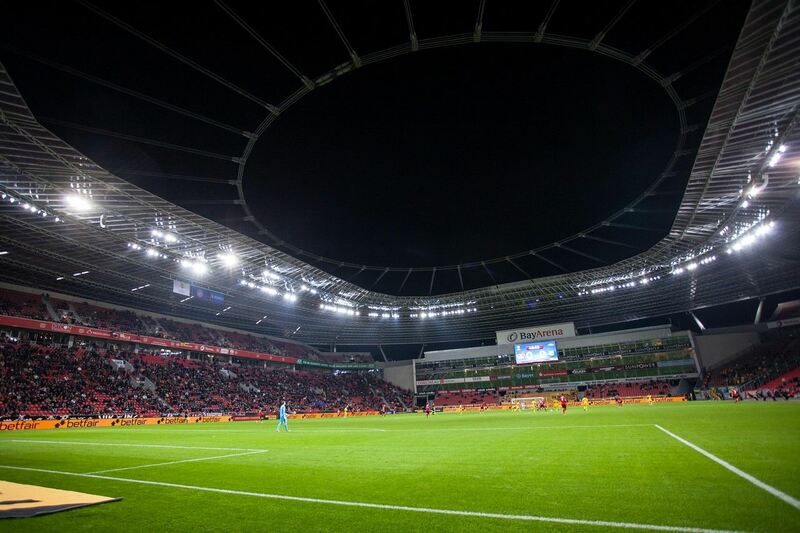 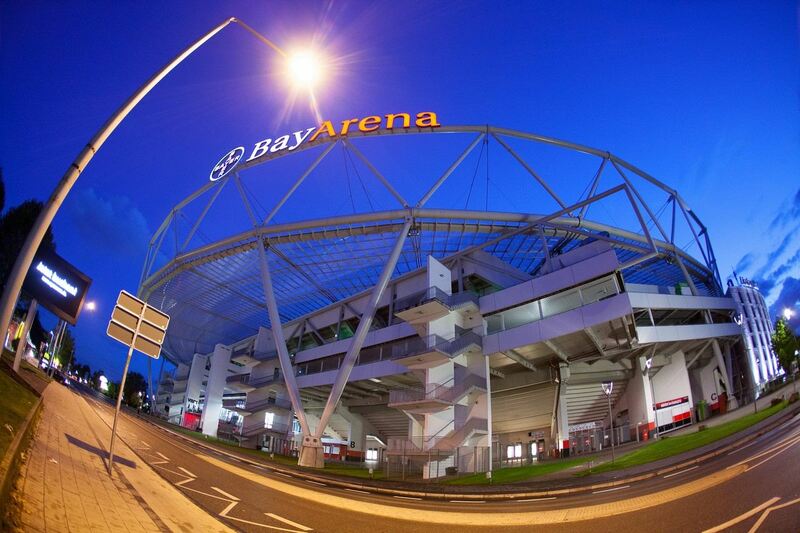 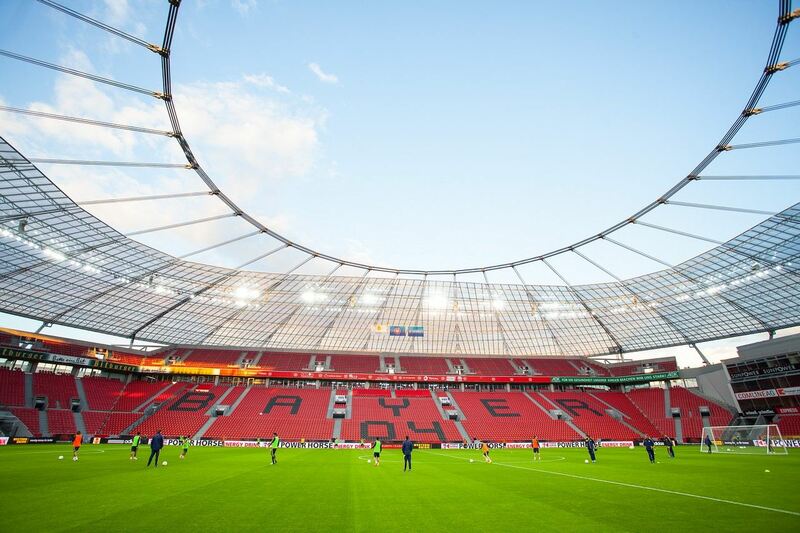 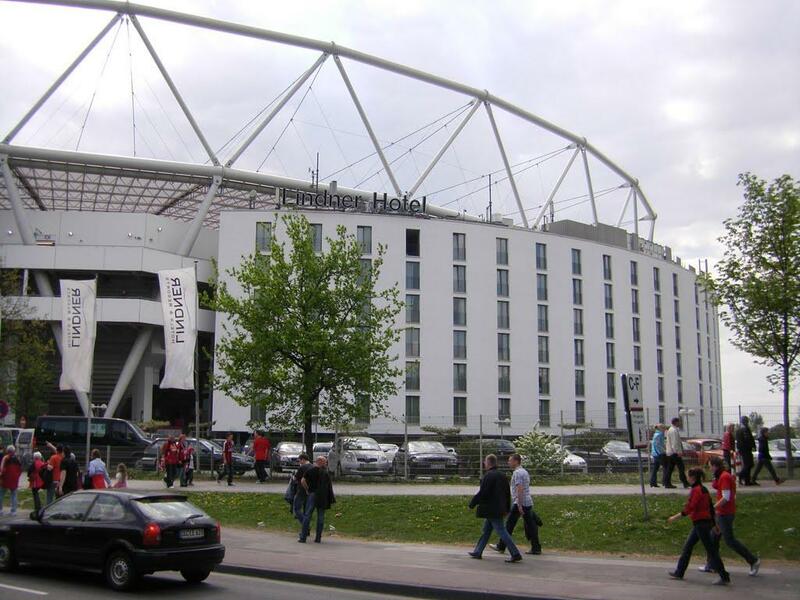 BayArena will soon have 500 video screens and 350 wireless internet access points. 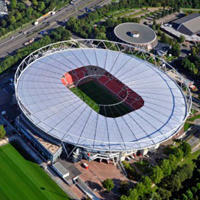 This will allow up to 20,000 people to surf online at the same time. Bayer is seriously increasing its merchandising range. 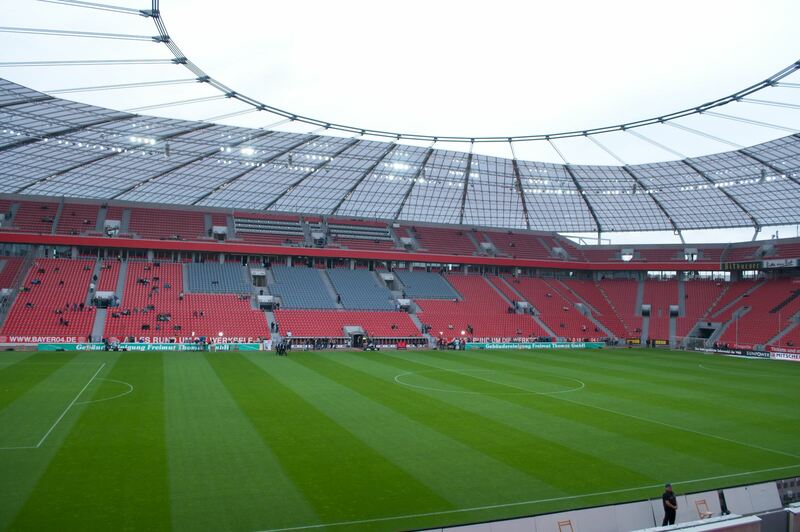 It’s been many months since fans started campaigning for more standing areas at BayArena. 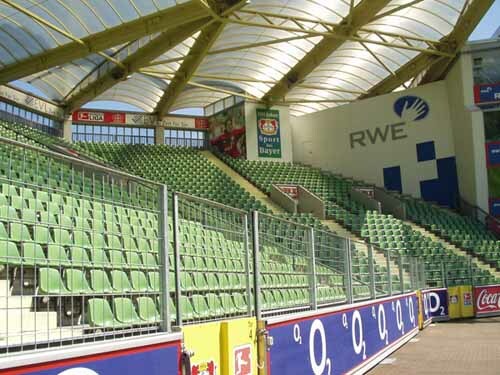 And it was worth it, the number of standing places will increase by 50%, starting next season.